This website provides a Free disability benefits evaluation service for Veterans. This online help form is for any veteran that has a service-related disability or disease. Note: As part of the application process, you have the option to get your case evaluated for free by an experienced Veterans Disability attorney. Our Veterans Disability Advocacy Group is not connected to, or affiliated with, the Veterans Administration. If you were denied Veterans disability benefits in the past, do not get discouraged. Our experienced Veterans advocates can help you appeal your claim. If you are not sure if you are eligible for Veterans disability benefits, just complete the form, and an experienced Veterans advocate will call you to help you immediately. Our case evaluation service is 100% free with no obligations. We would like to take this moment to Thank You for the service you provided to your country! If you have one of the service-connected disabilities listed above or some other service-connected disability that is not listed above, you may complete the form and see if you may qualify for veterans disability benefits. The form below allows you to request a Free Veterans disability benefits evaluation. Complete the form below and a Veterans disability advocate will review your case and call you to let you know if you may be eligible for benefits. * Are you currently working? * Do you already receive Social Security benefits? * Are you receiving a service-connected pension? * What is your current VA disability rating? * What is your branch of service? Upon submitting this form, you will receive an email and/or a phone call from a veterans disability advocate within 4 hours during regular business hours. 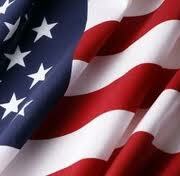 The veterans disability advocate will give you a free evaluation of your veterans disability claim. This website provides a free veterans disability case evaluation by an experienced disability attorney. Global Leads Solutions, Inc., and our affiliate disability attorneys, and their respective parent companies, affiliates and subsidiaries are in no way connected to, or affiliated with, the Veterans Administration. If you wish to find or get help at the veterans Administration website, please click here.